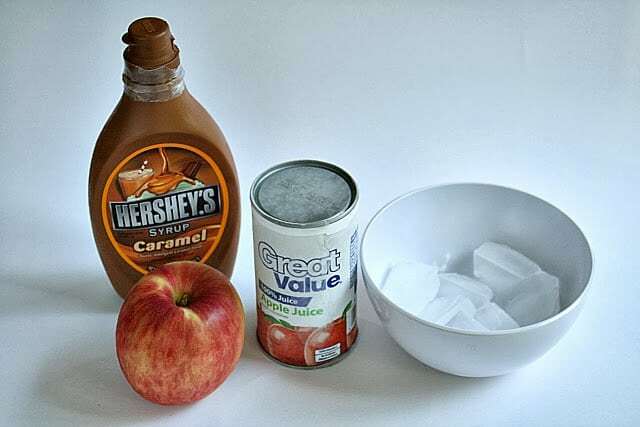 Caramel Apple Smoothies made with an apple, frozen apple juice concentrate, caramel & ice cubes is a fantastic, easy fall treat. Add yogurt for a creamier smoothie! 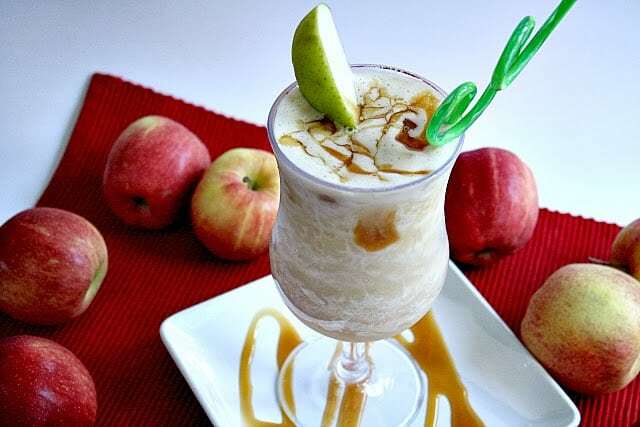 Caramel Apple Smoothies are a delicious way to enjoy smoothies this time of year. They have wonderful flavor and you can’t beat that caramel apple combination. Try adding yogurt for an even creamier version! I’m sure you can tell by now that I really love caramel and apples and anything that combines the two somehow! This recipe is the first time I have tried the two together in a beverage though, and I was a little nervous about trying it. The results were delicious though and this drink really does taste just like a caramel apple! Serve immediately and drizzle with additional caramel if desired. I have made this recipe a couple of times and have found that if you add 1/2 cup vanilla yogurt, you will get a creamier beverage…either way is delicious. Enjoy! I have made this recipe a couple of times and have found that if you add 1/2 cup vanilla yogurt, you will get a creamier beverage...either way is delicious. Enjoy!